CelebrateLIFE! Sharing the joy of living and growing throughSpiritualist community, education and mediumship. Located in the heart of San Francisco's vibrant Castro District, we are a progressive Spiritualist Community that inspires and empowers people to achieve and celebrate their fullest human and spiritual selves. We are welcom﻿ing, loving, and an inspiring community. We offer many classes ﻿and opportunities for Spiritual Education, Spiritualist Services and Healing, many workshops and seminars. We offer a Spiritual home where ALL people are welcomed, encouraged, loved, and supported to reach their highest potential! We welcome you and we sincerely look forward to meeting you at any of our services and classes! Every Sunday, we do a Healing Prayer for those both present and absent, who are in need. If you would like someone to be included in this prayer, please add their name to our Healing List here. ﻿Upcoming Classes & Guest Events at CelebrateLIFE! Did you know that giving could be easier that you think? Some companies will match the donations of employees to registered 501(c)3 charities. Please check to see if your company has such a program. Please contact, James Bae, Treasurer, (Treasurer@CelebrateLifeSF.org) if you need information on how much you have given to CelebrateLIFE! during 2014 in order to request a matching donation. 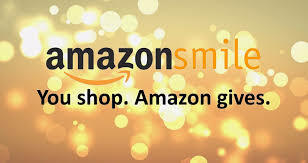 Amazon donates your eligible AmazonSmile purchases to the charitable organization of your choice. Same products, same price, same servce. Thank you. Please sign up with Smile Amazon and donate to Celebrate Life! Thank you!